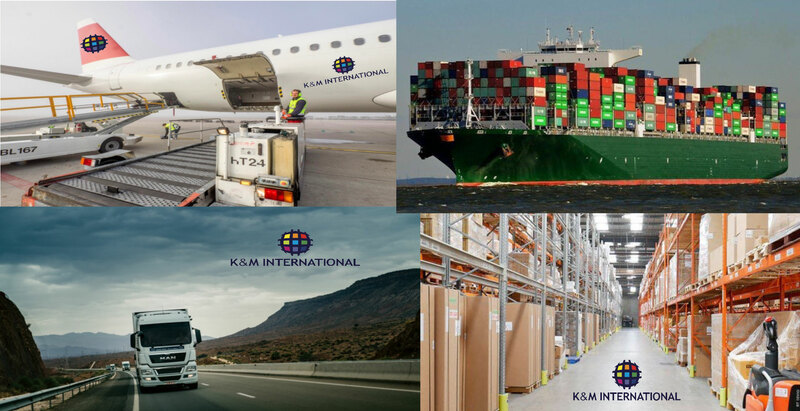 K & M International provides you with services of organizing transport via airplane, truck or ship. Air transport is the fastest way of sending and receiving goods and in cooperation with all of the airlines we are able to offer you the fastest and most affordable service when it comes both to shipping goods and to organizing transport to Serbia. In addition, we will respect any sort of temperature and ADR needs that the shipment requires and offer you the best price. We would like to emphasize that our company is the first in Serbia to organize exporting of fruit to the United Arab Emirates via Turkish Airlines, hence this is another type of transport we are experienced with. LUFTHANSA, AIR SERBIA, SWISS, TURKISH AIRLINES, QATAR AIRWAYS, AEROFLOT, ALITALIA, MONTENEGRO AIRLINES, LOT, AIR CANADA, PEGASUS AIRWAYS, IRAN AIR, CHINA AIRLINES and also partners with the following shipping companies: DHL, FedEx, TNT and UPS Express, which enables us to provide you with the best prices and the guaranteed security for your goods. When it comes to transport via trucks, we have established excellent cooperation with domestic and foreign transport companies which have their vehicles at the ready at all times at all in all of Europe and Asia, providing the fastest delivery times and affordable prices. Through our cooperation with the renowned companies CMA-CGM, MSC, Express see and other seaborne transport companies, we provide excellent prices for the transport of cargo containers both in exporting and importing. We also offer transport of groupage shipment containers from China, providing you with competitive prices through our cooperation with their agents.